There’s no better place to enjoy a rocking party in Phuket than the worldfamous Hard Rock Café in Patong. The popular venue will be putting on an electrifying night with a glorious dinner set and live entertainment throughout the whole evening. The night will kick off from 8:30pm and carry on till late. Guests can look forward to performances by three different bands, explosive fire shows as well as some Latin music shortly after midnight. The three bands include Splitfire, Kayle Syncro, and Greisy Martin, each sure to give guests an unforgettable experience. Guests will have a tantalising choice from a premium four-course set dinner package including with/without selected beverage options. 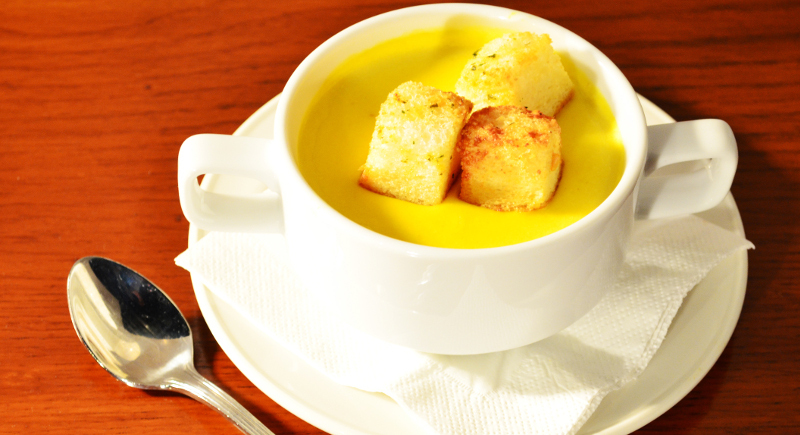 mashed potatoes, or the sizzling seabass steak for mains; as well as a roast pumpkin soup course. 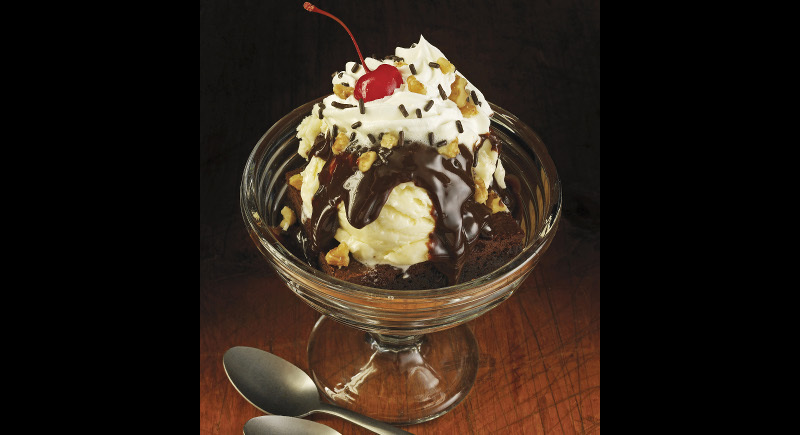 Dessert options include hot fudge brownie topped with walnuts and chocolate sauce or fresh apple cobbler served warm with vanilla ice cream and almonds. Hard Rock is famed for putting on rocking events so if you’re passionate about live music and looking for a fun way to spend New Year’s Eve, then there really is no better place than Patong’s Hard Rock Café. Table packages are available and strongly recommended, or entry to the concert on the patio is priced at B1,000, which includes two glasses of selected beverages. 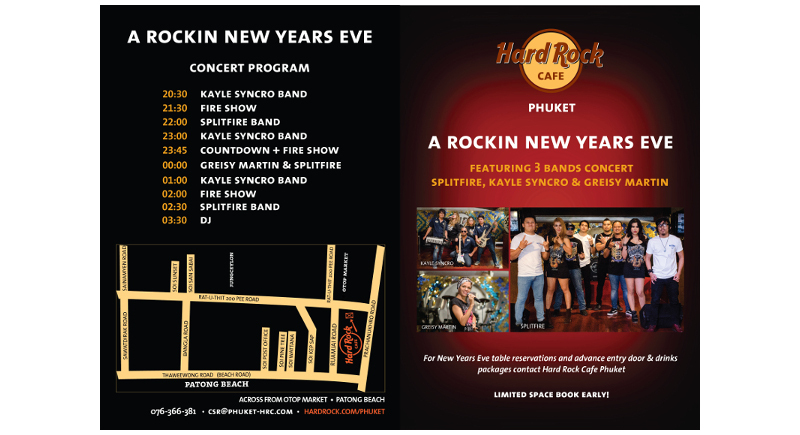 For table reservations and advance entry door and beverage packages, please contact Hard Rock CaféPhuket at 076366381 or visit hardrock.com/phuket for more information on this fabulous event!